Dear Reader, let us know that, “How to Install Laravel Framework in windows“. So in this Tutorial, We Learn Step By Step “How to Install Laravel Framework in Windows Process”. Step 1:- At first for Instalation of Laravel we need to verif the Precuites of the System. iv) Mbstring PHP Extensionv) Tokenizer PHP Extension. 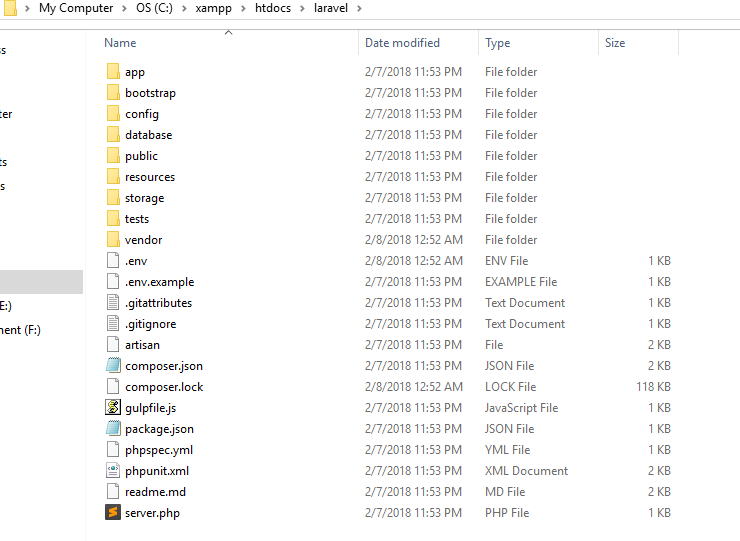 Step 2:- Now we need to Install XAMPP Server from here. A composer is a PHP package manager that is integrated with Laravel Framework. In Windows, we can install it easy going to the official page and download the installer. Step 5:- Now we need to Create Virtual Host, for this in this Article we want to configure the domain laravel.dev for our project. Save the file and we are ready to install laravel. Congratulations you have successfully Completed “How to Install Laravel Framework in windows“, if you like this post and was helpful for you then share this post on social media and if you have any query then please contact us or comment below, Thanks.